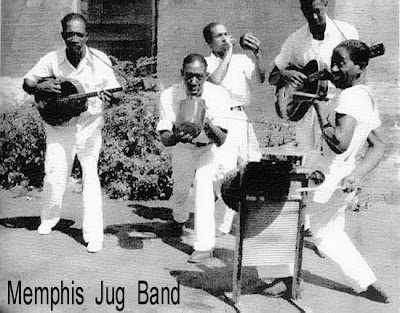 New Hokum Song- "Dusting the Frets"
I just updated my website player with a new Hokum Scorchers' song: Listen to "Dusting the Frets" originally by the Dallas Jamboree Jugband (1935), adapted by the Hokum Scorchers (w/new lyrics) from their "Yanna's Donut" album of 1995. This version has Lou Reimuller on National guitar, vocals, kazoo; Amy Crehore (me) on washboard w/ vocals, kazoo. P.S. This song changes every Sunday night, so it will be different by the time you read this. Here are few more sneak-a-peek-teasers of my new pieces. I will be blogging them soon. Everyday when I go for my hike (up to the magic staircase in the woods), I pass Tim Boyden's studio and rock garden sculptures. Seeing his artwork always puts a smile on my face. It's very whimsical and amazingly creative. 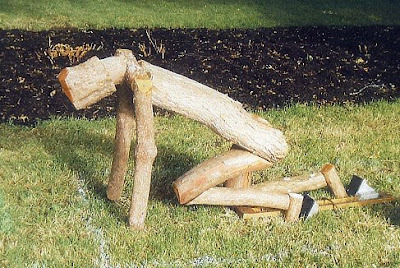 He uses found objects and natural woods to create an array of furniture that is hard to describe. There are always new pieces in his driveway and, the other day, I took a tour of his house where every piece of furniture is unique. There are chairs with antlers, sofas made of tree branches, beautiful slabs of wood for table tops. His garage studio door is always open and he is often buzzing around in there making his fairy tale furniture. This week is the Olympic Track and Field trials, so the town of Eugene is making the most of it. They are being held up at U. of Oregon and it's only a few blocks from my house. I can hear the crowds cheering for the athletes. 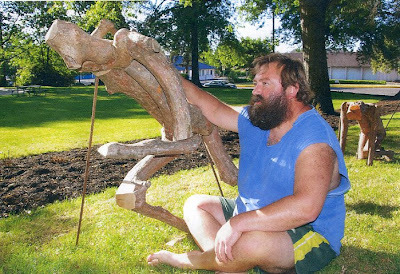 Tim made a series of sculptures specifically for the event. 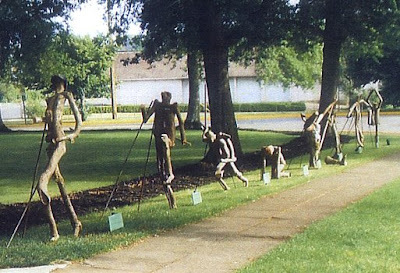 He arranged them in a park next to his house and they are impressive. Shown here are just a few. He's got all the characters right: the javelin guy, the discus thrower, a sprinter, a shot putter, etc. Amanda Visell * Amy Crehore * Andrew Brandou * Angie Mason * Anne Faith Nicholls * Attaboy * Blaine Fontana * Bob Dob * Bosko * Brandt Peters * Camilla D'Errico * Chris Mars * Chris Reccardi * Colin Christian * Dale Sizer * Daniel Martin Diaz * Danny Roberts * Dave Pressler * David Stoupakis * Derek Yaniger * Francesco LoCastro * Glenn Barr * Greg Simkins * Heather Watts * Iceberg Slick * J. Shea * Jaclyn Presant * Jacob Arden McClure * James Naccarato * Jasmine Worth * Jason R. Pena * Jeremiah Ketner * Joe Ledbetter * John Bell * Joseph Watson * Justin Bua * Kathie Olivas * Kelly Haigh * KRK Ryden * Lisa Alisa * Liz McGrath * Lyle Motley * Lori Earley * Louis Carreon * Lynne Naylor * Mark Bodnar * Martin Hsu * Michael Childers * Mike Leavitt * Molly Crabapple * Morgan Slade * Naoto Hattori * Nate Frizzell * Nic Cowan * Pizz * Poor Al * Robert Pokorny * Ron English * SAS Christian * Sarah Joncas * Savanna Snow * Scott Belcastro * Sean Claurity * SHAG (aka Josh Agle) * Spencer Davis * STONE * Tessar Lo * Tim Biskup * Travis Louie * Yoskay Yamamoto and many more. I don't think I'll be going, because I have to catch a plane to NYC the following Monday, but if you live nearby, you might want to check it out. The artwork that does not sell in Vegas will travel to Palm Springs afterwards, I believe, until August 11th, 2008. I'll blog my paintings when I finish them. I've neglected my blog for a few days. I got stuck painting on a painting that was already finished. Or so I thought. Sometimes these things happen. It's just not cut and dry. And I like a lot of paint. I'm not a one-coat artist. The more paint, the richer it looks. Or maybe it was just my nerves that kept me working too long on it. 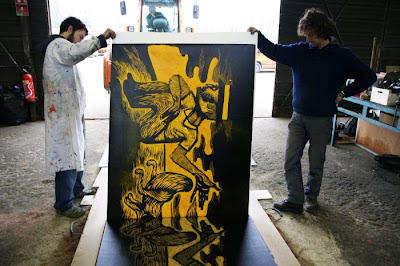 Looks like Juxtapoz has a little preview of my upcoming NYC show today...which will open July 25th. I'll be showing 6 or 7 paintings altogether. This a recent photo of me. 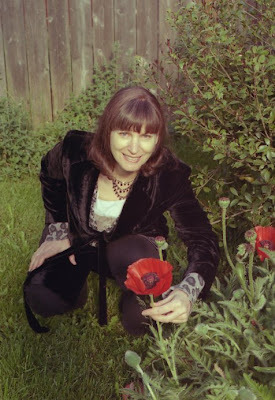 I'm showing you the giant orange poppies in my overgrown Oregon backyard. 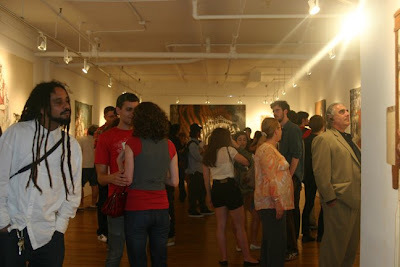 Flickr has a nice set of photos from Ad Hoc Art's current show, "Poets of the Paste". The show looks to incredible. This is where I will be showing 6 oil paintings on linen from July 25-Aug. 24 in a show called "5 Identities, 5 Destinations". I'm very excited about this upcoming show and I will be flying to NYC for the opening. The address and hours are: 49 Bogart Street Buzzer 22, Unit 1G Brooklyn, NY 11206 Tel: 718.366.2466 Wednesday through Sunday, 1PM til 8PM, and by appointment. Marshall Sponder over at Art New York City also just posted a video of the gallery. He took a little trip over there yesterday to check it out. I hope my friends, fans, and collectors who live in the NYC area will come out to see my art in person. 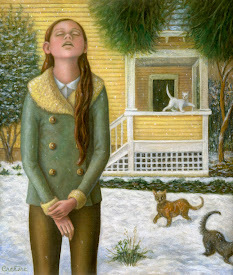 I have shown paintings a few times in NYC before, mostly at the Museum of American Illustration. This will be my first regular gallery show in NYC. 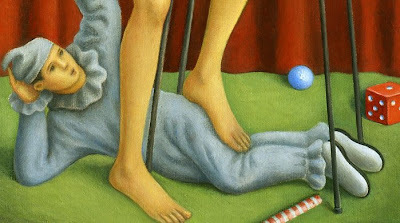 This is the painting that also has a giant eightball in it. I think it will be called "Black Ball Finale". I have some really nice frames for everything and will send off 6 paintings to NYC in July. 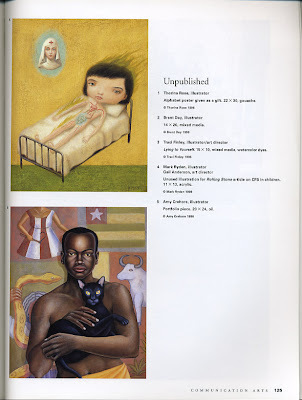 Here I am on the same page as Mark Ryden in 1996 (his painting is at the top of the page). My painting is called, "The Boy from Togo". It's a fairly large oil on linen. I always entered my fine art into the Communication Arts Illustration annuals - in the unpublished category. I also used my fine art on postcard samples to mail out to art directors. This image got me so many jobs!! I think it was the busiest time for me in my entire illustration career and I had to actually turn some jobs away. This is "The Chimney Sweep" by Lotte Reiniger,1955 (uploaded to YouTube by maydoll where you can see more of Lotte Reiniger's silhouette animations). 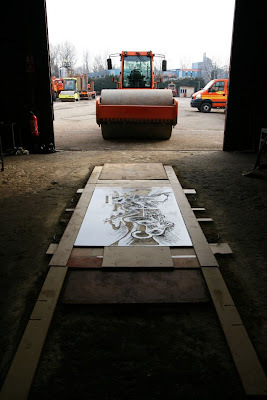 Read about this remarkable German film artist here and here . You can get a DVD of her historically important animated feature film of 1926 on amazon :the oldest extant animated feature, " The Adventures of Prince Achmed". The Grapefruit Moon Gallery website has a lot of original, vintage illustrative drawings and paintings for sale. They also have a history of the artists and their work, including photos, which is utterly fascinating. 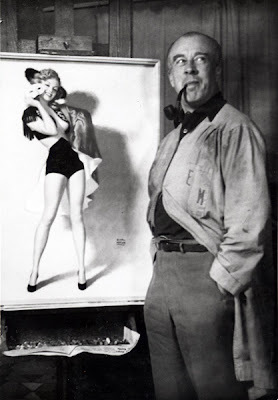 Marilyn Monroe visited artist Earl Steffa Moran in 1949 with dreams of being one of his pin-up calendar girls and he ended up doing a series of her. 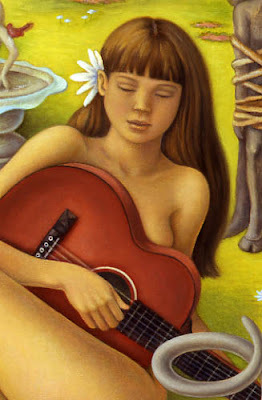 "This pastel was commissioned calendar Art for Brown & Bigelow and was originally titled CONSENTIDA and marketed to a Latin audience initially." 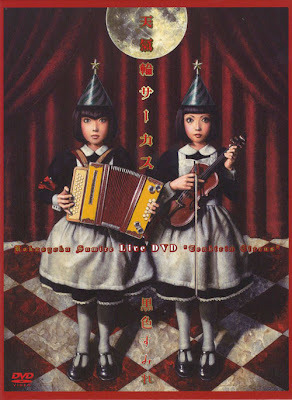 "New classical music spun out by two twin young girl dolls for the first time in Japan! At the center of this charming Kokusyoku Sumire (Black Violet) are Yuka, the genuine soprano songstress with the attraction of a little devil, and Sachi, the exceptional violinist and model who strikes adorable poses. 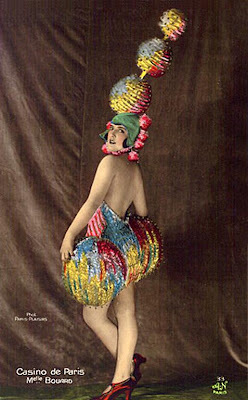 The girls express with extravagant freedom motifs based on internationally known fairy tales such as the “Little Red Riding Hood”, “The Little Match Girl”, or “Hansel and Gretel”, while adopting a diversity of elements from such music genres as chansons or classical music." My photo of the day is another classic shot taken by Raleigh Powell. 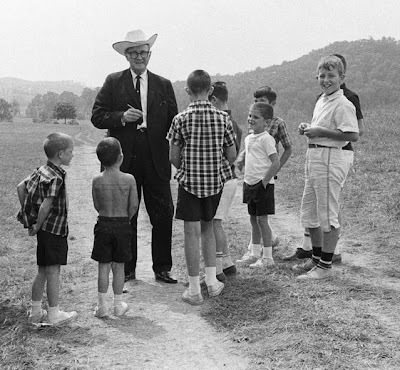 This is of Bill Monroe in Roanoke, VA, 1966. Raleigh says, "This is from the 1st year of the Roanoke Bluegrass Festival. A very small crowd (under 100)and a makeshift stage illuminated by 100-watt lightbulbs. Ralph and Carter Stanley played as well; they were the best." 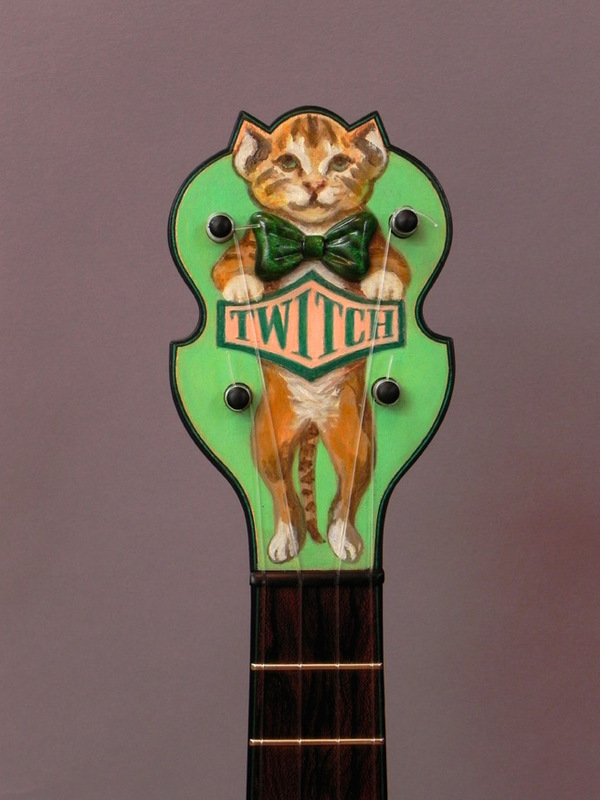 It's my birthday and I am releasing a new print today featuring a ukulele. This is a signed, limited edition archival giclee print of 'The Creature' for only $50. (only 50 prints in this edition) plus shipping/handling. Two customers (chosen at random) will receive a small original drawing signed by Amy Crehore (me). 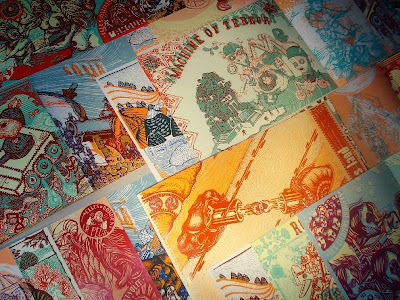 All prints come in archival sleeves with two postcards and a certificate of authenticity. P.S. 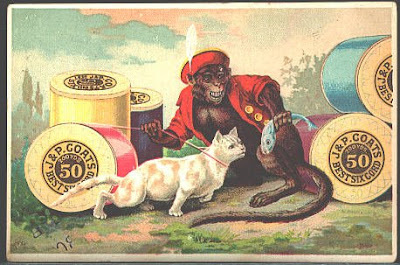 This was the painting that Mark Frauenfelder bought from a sketch, "Monkey Love" series -number 9. P.P.S. Be sure to check out my Artist Uke T-shirts while you are at my website. Sunday Night Song on Tuesday! This song changes every Sunday night, so it will be different by the time you read this. 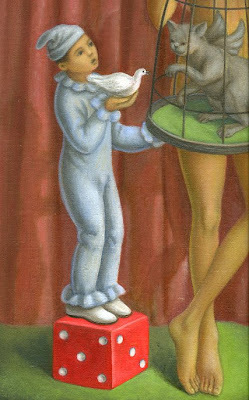 Here's another quickly scanned detail of one of my new paintings, a version of "Bubble Gum Encore". It took forever to get that cat just right. Using tons of rich oil paint. I was lazy on Sunday night and I didn't upload a new Hokum Scorchers song. Been working too hard at painting. I'll have two shows in July, one in NYC and one in Las Vegas at the Hard Rock Hotel (M Modern). I'm also going to release a new print very soon, so watch for that. I love this painting by Dod Proctor's husband, Ernest. 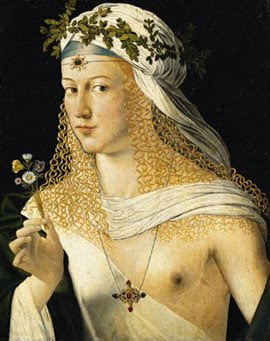 The angles and placement of hands contribute to a humorous and lively composition where everything connects. Beautiful colors, too. This is really strong figure painting. Read more about him at Femme - they also have a couple more examples of his work. They were both amazing artists of the art deco period. This is just a detail of one of 3 new paintings that I am working hard at finishing up now. It is not really done and it's a bad (direct) scan. I am still refining it...curtains,etc. Exciting to see the end in sight, though. All 3 are "Little Pierrot" images, but they are painted on stretched linen and are bigger sizes than my original series. NYC will get to see these as part of my upcoming show in July. 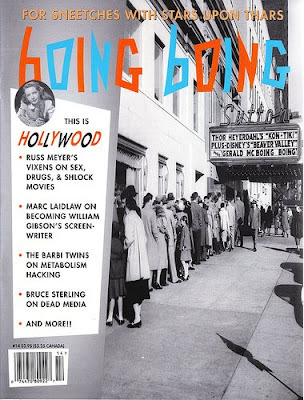 Boing Boing was a zine before it was a blog. Mark Frauenfelder has a set of cool and unusual Boing Boing covers from 1989-1995 on flickr. Fun! Flickr seems like a great tool for organizing a person's history (or art history) into segments. That gives me an idea, since I just started using flickr again myself. I will try to create some sets for myself. I still have plenty of nice t-shirts available in 5 sizes on my website. 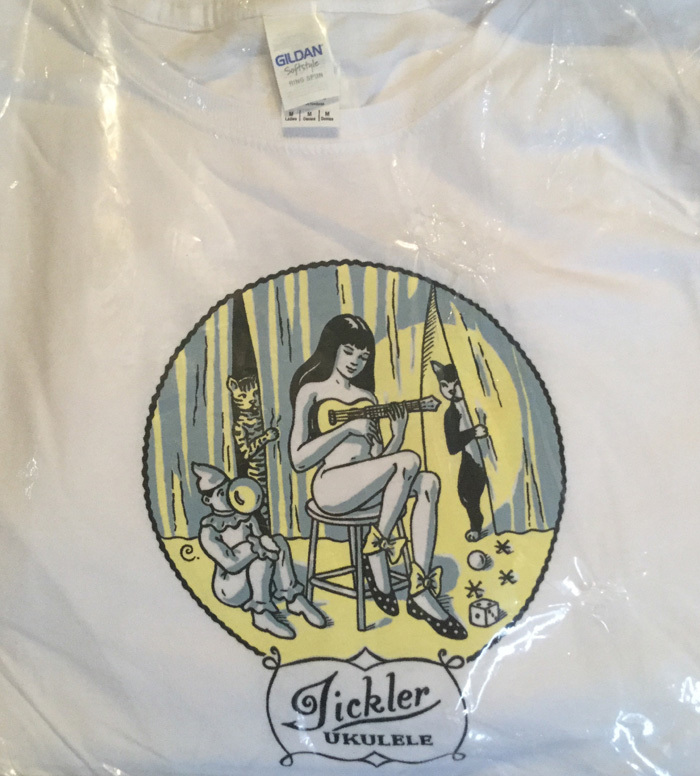 I know it's summer in other parts of the country and my Tickler Ukulele Artist Tee might the perfect thing to wear. For some reason, however, it's been freezing and rainy here. I will even have a fire in the fireplace tonight to warm things up. Yes, it's a lot like winter here and it's very annoying for June! 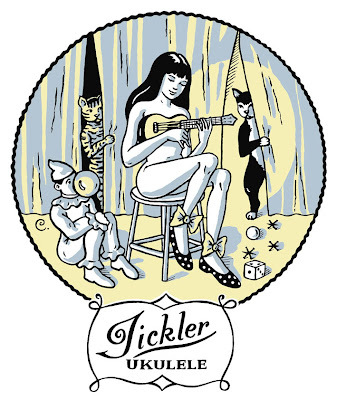 We are still finishing up the #2 Tickler Uke. Final stages. Today, a nice black uke case arrived from Elderly Music. Perfect fit. My friend Mark Lowrie built this surreal train that runs under a table. 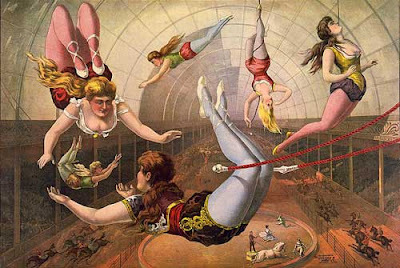 Images from old postcards, a circus poster and a vintage photo by William Mortensen. Detail of Silkscreened Book ,"No Man's Land"
I just received this image tonight -it's the promotional card for my show in July (July 25-Aug 24, 2008) at Ad Hoc Art Gallery in Brooklyn, NY. 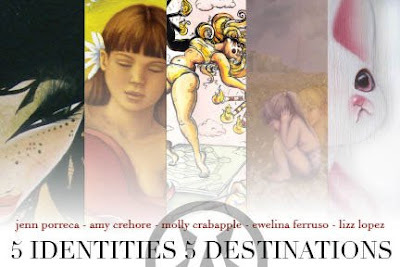 The other artists who will be joining me in this show are Jenn Porreca, Molly Crabapple, Ewelina Ferruso and Lizz Lopez. Can't wait. I've already got my plane ticket. It will be fun to see what these other lovely ladies have up their sleeves. I will be showing six oil paintings of various sizes. The Art of Amy Crehore. I was uploading some photos to flickr today and look what I found -a nice interpretation of my "Roaming Tomcat Rag" painting by Knotty Rhonda starring Bootsy and Meeka! P.S. I recently added flickr photos and an email subscription link (for those who want to get my blog sent to their email address) to the sidebar of my blog. In honor of Bo Diddley's recent passing. I do miss those TV shows with go go dancers. One of my favorite pictures of all time is "Morning" by Dod Proctor, who painted it when she was 34. They say it made her famous overnight. To me, this represents art deco period painting at it's finest. The sculptural quality of this figure is astounding. This painting is in the Tate. 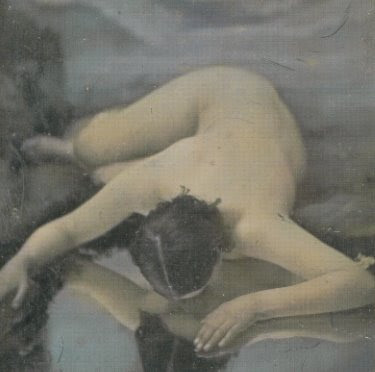 "This was voted Picture of the Year at the Royal Academy Summer Exhibition of 1927 and bought for the nation by the Daily Mail newspaper. 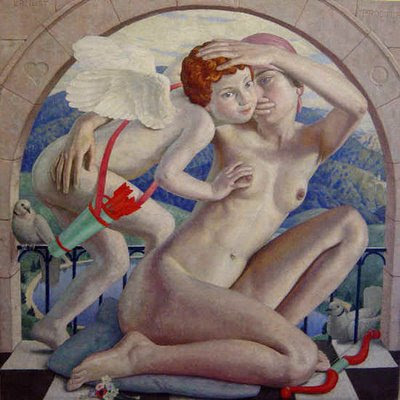 From c.1922 Dod Procter had begun to paint a series of simple, monumental portraits of young women that she knew, utilizing the fall of light across the figures to give a powerful sense of volume. 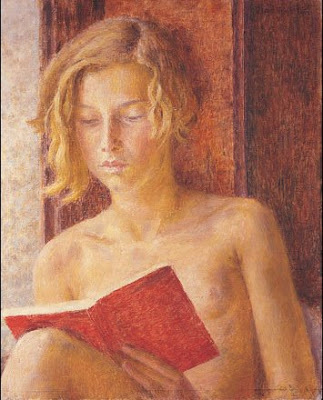 The model was Cissie Barnes, the sixteen year old daughter of a fisherman from Newlyn, the Cornish village that was home to Dod Procter for most of her working life. 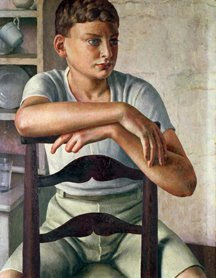 The popularity of this painting led to its being displayed in New York, followed by a tour of Britain from 1927 to 1929." She was a genius. I only knew about the painting called, "Morning"...until now. 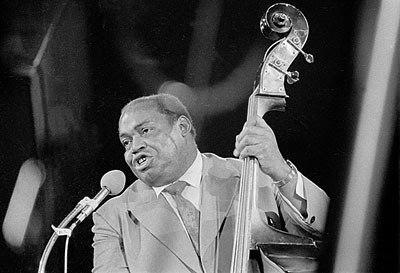 Hokum Scorchers Perform "Violent Love"
Here is a picture of the remarkable bassist and songwriter, Willie Dixon. Check out this list of classic songs that he wrote and all of the people who performed them. So, it's Sunday night and I just switched the song on my website player. Listen to an adapted version of Willie Dixon's "Violent Love" (1950's) performed by the Hokum Scorchers Band. Lou Reimuller is singing and playing a National guitar and I am playing the washboard. Both of us are playing kazoos. Recorded in 1990. Follow this link and scroll down for song. This song changes every Sunday nite, so it will be different by the time you read this post.